Do you feel like you are drowning in a sea of paper clutter? 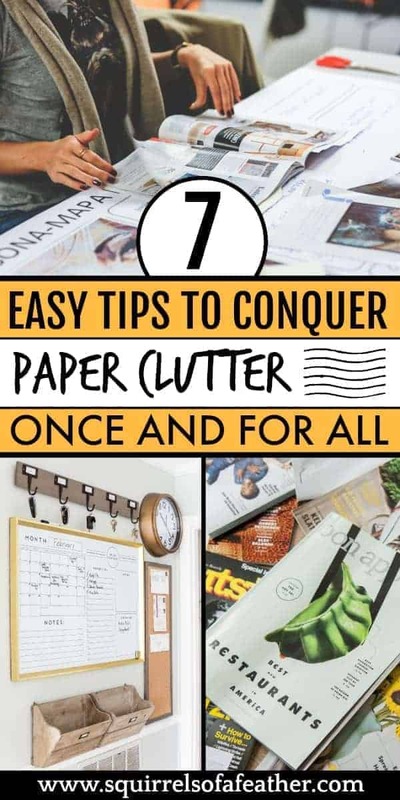 Stop dreading every mail run and learn how to organize papers and conquer paper clutter for good with these seven simple tips that will make your life infinitely easier. You will learn the best strategies for organizing paper and how to keep the clutter monster at bay. When it comes to cluttering up your life, few offenders are worse than paper. The fact is it’s easy to put off organizing paper, sheet by sheet, receipt by insidious receipt – until finally one day you look up and see you have Mount Paper-est in your office, Mount Kiliman-paper in your entryway, and Mount Fu-just-kill-me-now in your kitchen. Well stash away your climbing tools and tell your sherpa to head home! These 7 simple tips will help you organize paper and keep them organized — for good! Try saying that five times fast! Go on, I’ll wait (it’s almost as tough as Peter Piper and his pickled peppers). Before you tackle that stack of papers you need to have a strategy in place. Trying to declutter paper without a plan is like trying to climb Mount Everest in your underwear (and the mountain jokes continue). 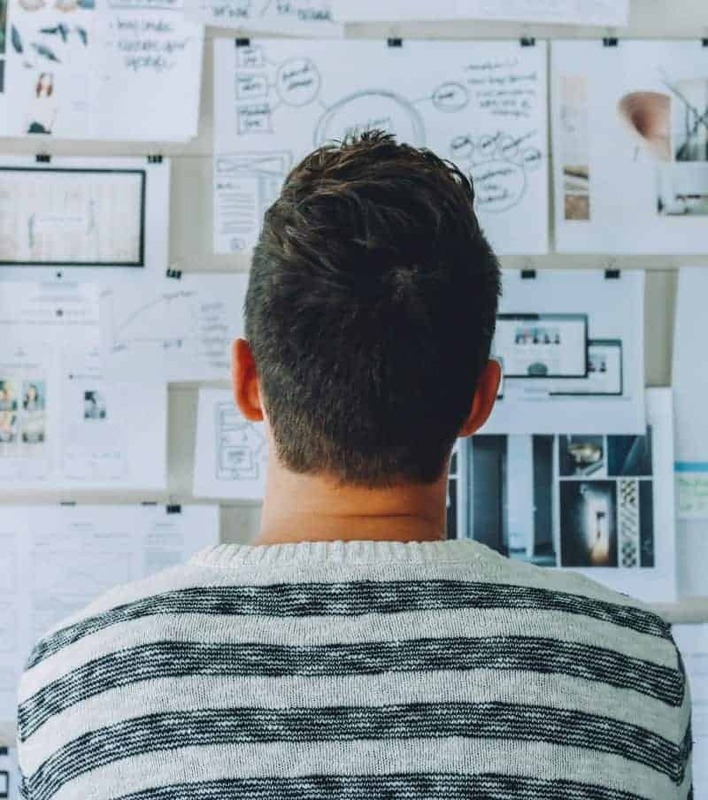 Your strategy can be as simple as visualizing what your ideal paper organization system would look like and planning times and products that will help work towards your goal or you could get even more specific and decide to systematically declutter with a certain method, such as the KonMari method. 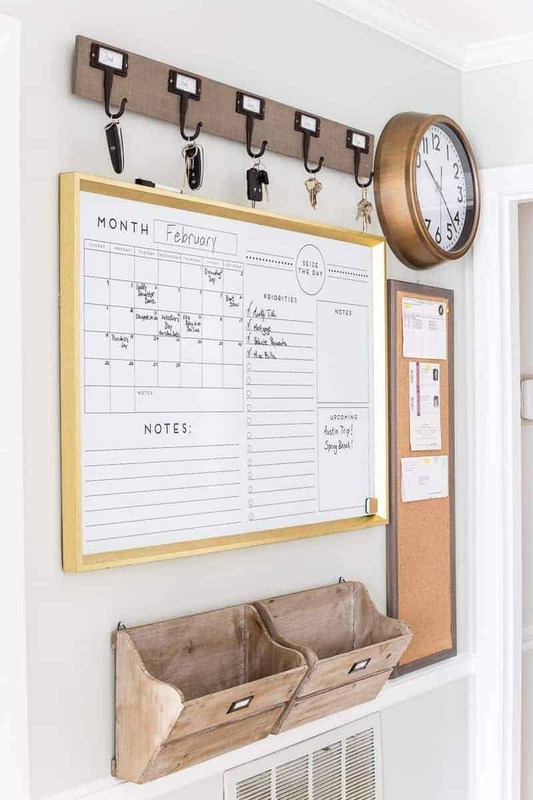 Ideally, you would want to keep all of your papers in one place for sorting, storing and purging — an office would be perfect, but if you don’t have one an entryway or kitchen could also work. Plan strategically around the space that you have and make it work. Once you have your paper organizing plan in place it’s time to gather every single scrap of paper in your house and get it in one place. Leave no drawer unturned, no instruction manual unexplored — let no crumpled receipt rest until every sheet is found! 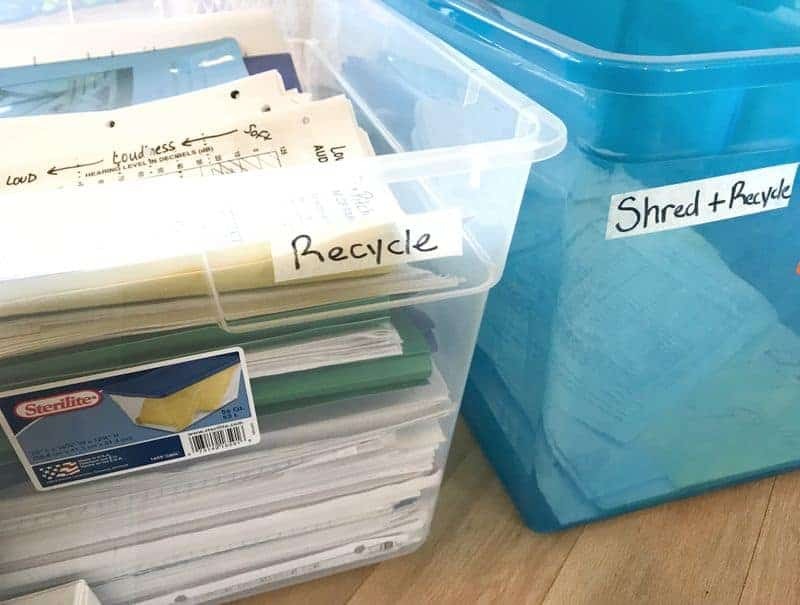 On top of gathering all of the papers, it helps if you get three lidded plastic bins or cardboard boxes and label them thusly: Keep, Recycle, and Recycle+Shred. Having lidded bins or boxes helps keep the mess nicely contained and also assists in disposal or even storage, in case you aren’t able to complete all your sorting in one day! Be relentless in your discarding; the less paper you have left over after sorting, the less paper you have to worry about keeping organized. Keep only documents that are necessary, will be useful, or have great sentimental value to you. It pays to have a high-quality paper shredder close at hand. Choose something that can shred multiple sheets of paper all at once and also tackle credit cards and other thick documents. You should have minimal papers left to organize. 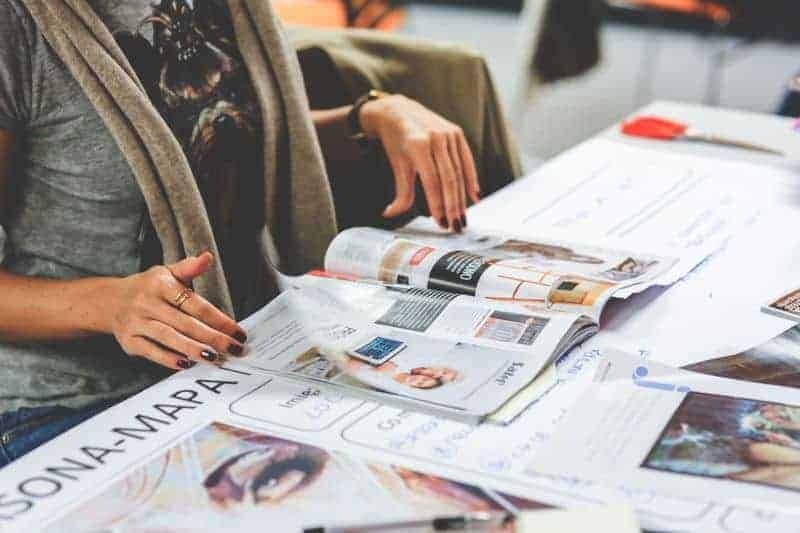 Depending on the size of your home and your personal organizing style you may like to either store all your papers in one place, like a filing cabinet or by category in various binders. How you designate paper organizing categories is also up to you. 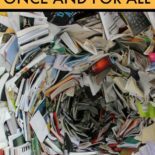 Now that you have sorted through and discarded all of your excess paper, it’s time to work on reducing the incoming flow of paper as much as possible. You could also consider going entirely paperless! It’s a lot simpler than it sounds; all you really need is a good system in place for sorting incoming paper, a high-quality scanner (this one is on the cheaper side, compatible with Mac and PC, and is also light and portable) and a digital filing solution like Evernote. As far as identifying future papers for sorting and discarding, you might want to consider implementing a command center for sorting and organizing the incoming paper. Your system could be as simple as a vertical desk organizer or you could make a stylish command center to suit your style. Pick a system that works best for you and your family! Now that you have all your paper sorted and a strategy in place, you are always going to take immediate action upon acquiring new paper. 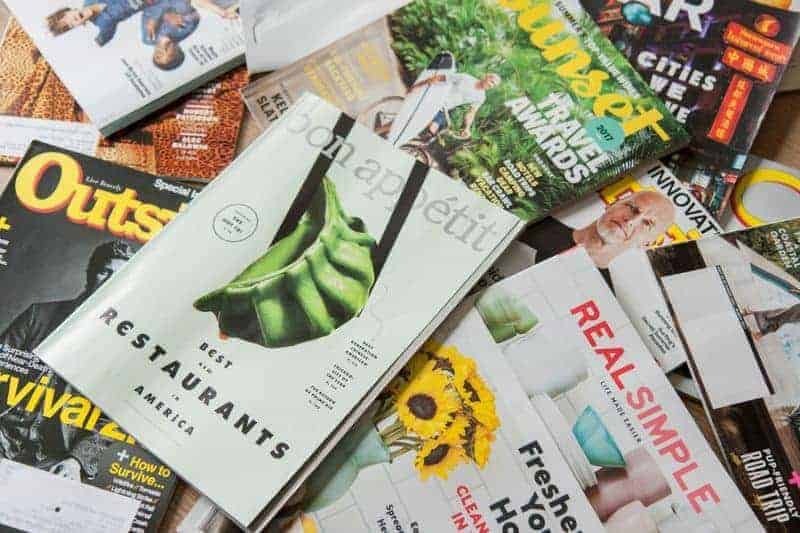 Instead of dropping the mail on your kitchen counter, sit down and sort it immediately and begin the process of shred versus store. If you have a command center you can drop the sorted papers that “need attention” in the appropriate holder. I hope you enjoyed these tips on how to organize papers! These are great tips for organizing and taming those endless piles of paper clutter! Pinned! These tips for paper clutter organizing are great, Marissa. Very inspirational… and funny! (and I love your Pin!) 😉 Also, thanks for sharing at Homestyle Gathering. Sure thing, thanks for checking it out, buddy. Good tips. This comment is for those people who are buried under lots of paper that may have an emotional connection as well may have a legal need for retention. I was buried under a lot of paper since I was the executor/trustee for several family members. I kept up with the current paperwork, but my filing suffered. I first did some research on retention and then ran the “rules” by an attorney friend. The retention checklist is by person and has “destroy by” dates. So, there is no need to keep counting dates. Each person/trust has a permanent file (birth, death certificates, final returns, clearance letters, etc). Then, there is a report file (tax returns, statements, other important documentation), and then all else. I bought a bunch of like storage containers – clear, plastic, 16 quart size which legal sized papers can fit in. I did my sort into these containers. The containers are labeled with person and year. They are stacked in a storage closet since I am lucky to have the space. If I have the time and inclination, I get a container that has “aged” out and do a final review and shred most of it. Since I standardized containers, I can use these for storing other things. I am aging myself and realizing that small containers that fit on closet shelves are much better than the one big container that I can no longer move! Those are excellent tips and thank you for sharing that perspective! I haven’t had the experience of being a trustee for another, but I can see how that adds a whole extra layer of complication and paper clutter! Really good to know. A lot of good tips. We all have so much paper as it is hard to know what to keep and what to shred. I hate to file so I got a January-December expandable file. I marked the front with the current year 2019. I just file all my bills when they come and put them in the current month slot. When I get ready to pay them they are all there. Once I paid them I paper clip them all in one lump and at the end of the month I staple them together. At the end of the year I file it away and get a new one and write the new year on it. Sounds like you have an excellent system in place, Debbie! Expandable files for one year at a time is an interesting idea that seems easy to implement!